Nature loves courage. Make the commitment, and the nature will respond to that commitment by removing the impossible obstacles. Dream the impossible dream, and it will lift you up. This is the trick. This is how the magic is done. Half the time, we think that we are thinking, but in reality we are actually listening and responding to the environment around us. Change your environment, and your thoughts change. Go into the nature and you discover yourself. If you do not have a plan for your own life, then you become part of somebody else's plan, and they will use you up. We have the technological power and the engineering skills to save our nature, to cure disease, to feed the hungry, to end the suffering. But we lack the intellectual vision, or the courage to change our minds. We must evolve our mind from the 10 thousand years of egoistic behavior. And it is not easy. Our global problem is not to find the answer. The problem is to face the answer, and the solutions that tell us that we were wrong. It is hard to accept to be wrong. The ego is not helping in this situation. When you stop feeding your own ego, then you meet your own soul. The people are so distant from their own soul, that when they meet their soul, then they think that it comes from another universe. The future of humanity is in the communication with our own soul. The dreams and the powerful plants can help us with that. Nature and the plants do have the answers. We must return to the nature and start listening. The aquarium and the plants can create the perfect combination. The fish love to live in the clean water. The plants can help to clean the water. In this wonderful video we can see one very effective aquaponic system. The fish create the waste in the water, when they eat their food. The plants can recycle the dirty water from the fish. The bacteria in the ground do help to filter out the rest of the waste, that the plants did not use for their food. The plants eat the waste from the fish. The bacteria eat the waste from the fish. 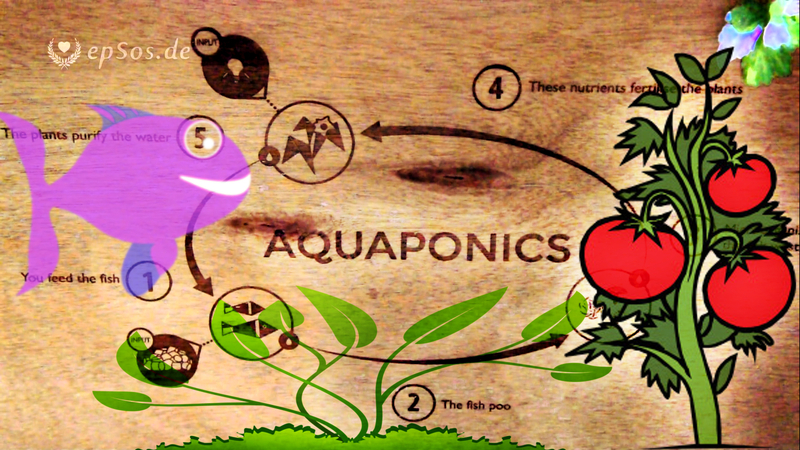 The aquaponic aquarium system is created for the production of the vegetables at home. We can feel very happy, when we grow our own food in our own garden. Many people do not have a garden. We live in expensive flats, and we do not have any garden. We buy our food from other people. The aquaponic aquarium system can help us to grow some of the food in our home. The auqponic system is very effective. The plants grow fast. It is possible to grow vegetables and flowers in the aquaponic aquarium system. There are almost no limits to this idea. Everything is possible. Plants help us to connect to the nature. The nature can give us the answers to the problems that we have in our life. The plants can make us more healthy and more happy. The aquaponic garden can help us to connect to the power of the nature. The plants feel very happy in the aquaponic garden. The LED lamp is giving the energy to the plants, and the fish create the food that the roots of the plants eat. The aquaponic aquarium system is designed to be simple and easy. The water is running in the circle from the aquarium into the ground, where the roots of the plats help to filter the water. This aquaponic system is fully automated, there is no need to do anything special. It is possible to create an aquaponic garden with the help of the snails, the snails do eat the algae and the bacteria in the aquarium. There is not need to feed the snails. The aquaponic aquarium with snails can be fully automatic and autonomous, if we add the solar cells onto the side of the aquaponic garden. This is a very advanced technology. It is possible to grow a lot of food in the aquaponic garden, because the plants do grow fast. The fish love it too, because their water is much more clean. There are people who have an aquarium at home. Those people can convert their aquarium into the aquaponic garden, if they connect the water from the fish to the roots of the plants. The idea is simple, but the results are very large. The aquarium has the same problem all the time. The water can become dirty and the fish become sick. The aquaponic aquarium can help to create a clean environment for the fish. When the water is more clean, then the owner of the aquarium can relax and enjoy the colorful fish in the aquarium. In the future, all the aquariums will be connected with the plants in the water and with the plants on top of the aquarium. This combination is perfect, and we can be very happy about this interesting, aquaponic garden.